Some thoughts on radio activities worth trying before you say your last 73. Okay, you’ve finally realized that you’re not getting any younger and you’ve thought about what you want to do before you head out for that big “hamshack in the sky.” The phrase in common use today to describe your situation is “Bucket List” — a list of things you want to do before you kick the bucket. I’ve seen bucket lists for other interest groups — car enthusiasts, bicyclists, sports fans, travelers, even a movie by the same name — but none for hams. One list even had getting a ham radio license on it! The situation is literally a case of woulda-shoulda-coulda for opportunities in the past and a list in your head of things you still want to do in the very near future. I looked back on my 45+ years as a ham and realized that I’ve had a lot of fun, but wish that I would have acted on several things that I wanted to do but for some reason didn’t. I’ve composed a list of things that some hams may have wanted to do but may not have done. Now is the time to quit dreaming about them and start doing. Below is a list with some things that I have either done or wanted to do. You can use it as a guide to form your own list or use it as is. 1. Operate a contest for 24 hours with no sleep. This may be a tough one but it’s the way to really rack up some points. You will recover from the loss of sleep. Don’t spend just 2 or 3 hours but make a real, dedicated effort. Get some extra sleep the day before. Plan your station operation and layout so that you’re not strained and become so exhausted that you quit early. 2. Go on a DXpedition. This is shooting pretty high, I know, because of the expenses and time involved. If you can’t swing a DXpedition, operate from a foreign country you are planning to visit. Obtain permission or a license if required. 3. Operate from a large hill, the top of (or partway up) a mountain or the top of a tall building with a VHF/UHF rig and gain antenna to see how far you can work simplex. I’ve operated from a tall building and with 10 W on 2 meter FM simplex was able to reach out well over 80 miles to mobile stations. Another time I was part of a group of hams who operated from the top of a 120 foot sand dune on Field Day and worked out several hundred miles with 5 W on SSB and a small Yagi. It was a blast but exhausting hauling the equipment up and down the hill. You might try paying your kids or grandkids to help haul the equipment and maybe get a chance to show them what ham radio is all about. 4. Operate from a motorcycle or bicycle. If you choose to operate from a bicycle see the article in the May 2009 QST by WA3LKN.1 Presently I use a handheld transceiver with a flexible antenna but reception isn’t great. I have plans to add an antenna like that shown in the article. 5. Erect an antenna so large that it is capable of staying up for only a contest weekend (think Field Day, DX contests). Use the following guideline: If it stays up then it’s too small. A directional multiwire array between some really tall supports (trees, towers, flagpoles, etc) will provide a killer signal in the favored direction. 6. Run low power from the beach, park, woods, parking lot at work at lunchtime, hotel balcony, vacation spot, boat or ship. For all but the ship, put up a mobile whip antenna or simple pole and dipole depending upon what space is available. A ship may require special clearance. Bring a dual-band handheld transceiver with a small dual-band handheld Yagi and work through the low orbit ham satellites. 7. 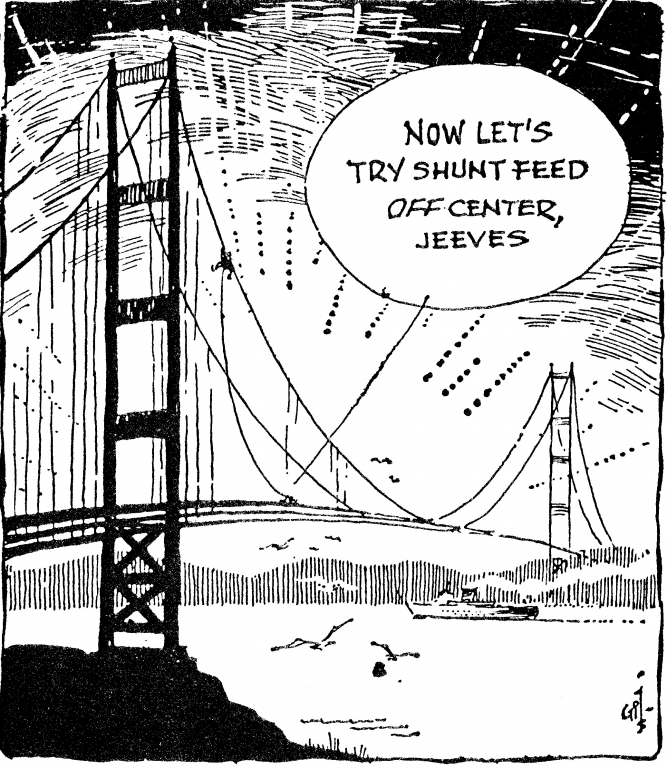 Visit a high power AM station transmitter site. These stations consist of power supplies, amplifiers, antennas, coax, etc — just like ours, only much larger. Back in the ’70s I went to one of our local TV/FM/AM broadcast sites and was amazed at the size of the equipment. At least one of the broadcast engineers at a station in your town is probably a ham. Be sure to thank him and the station management (in writing) for their time. 8. Operate a classic ham station — this means tubes, separate receiver /transmitter/VFO and a straight key. 9. Build a kit. There are many station accessories that can improve your operation, don’t cost much and will be fun to build. If it’s been a long time since you’ve built a kit, pick something simple but be sure to enjoy the actual building process — remember “the journey is the reward.” A low-power rig is relatively simple, inexpensive and can be used for vacation, portable operation, etc. 10. Homebrew an antenna even if it’s just with wires. (Remember to keep away from the power lines). 11. Increase your CW speed to 10, 15, 20+ WPM. W1AW still sends code every night and day of the year. Read up on techniques to help you increase your speed. 12. Operate PSK — it really isn’t all that hard to set up and operate. You probably already own most of the needed equipment, such as a PC, HF SSB rig and antenna. All you need to add is some free software, a simple and inexpensive audio interface and a means of keying your rig. 15. Write an article for QST. If you haven’t written anything since high school (or ever), the editors will help you and you will become famous in your local ham group. I’ve written a few over the past 15 years. The e-mails and letters I’ve received asking for help, more information or to tell me what they’ve done are absolutely priceless! I treasure each and every one. Also, I’ve gotten my wife involved. She proofreads the articles before I submit them. 16. DX on the AM and FM broadcast bands to see how many stations you can “log.” My friend John, N7LQR, and I used to see who could hear the most stations on the AM broadcast band. The last I recall, in the 1960s, he was well over 125. You probably won’t get a QSL, but you can record the audio using a PC for proof. In the early mornings of spring and summer the FM band goes crazy sometimes filling every available channel with a station. Remember to stay away from your local broadcast station antenna sites so the receiver isn’t overloaded. 17. Set up a table at a hamfest. 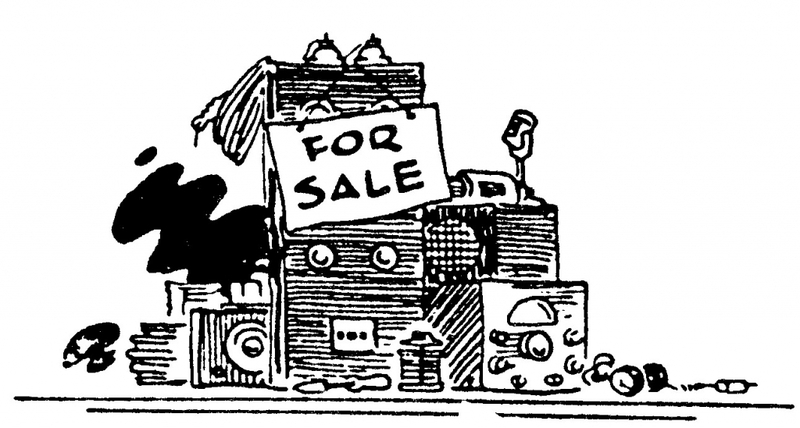 Make sure you label everything with prices and clean up the items to make them look more attractive. It’s really different “being on the other side of the table.” The experience of meeting new hams this way is definitely worth the trouble of setting up. 18. Learn simple satellite operation, how to track them, how to use a PC program to find them and predict when they will be visible. After that you can advance to actually transmitting through them with the help of other satellite experts. Visit the AMSAT to learn the basics. 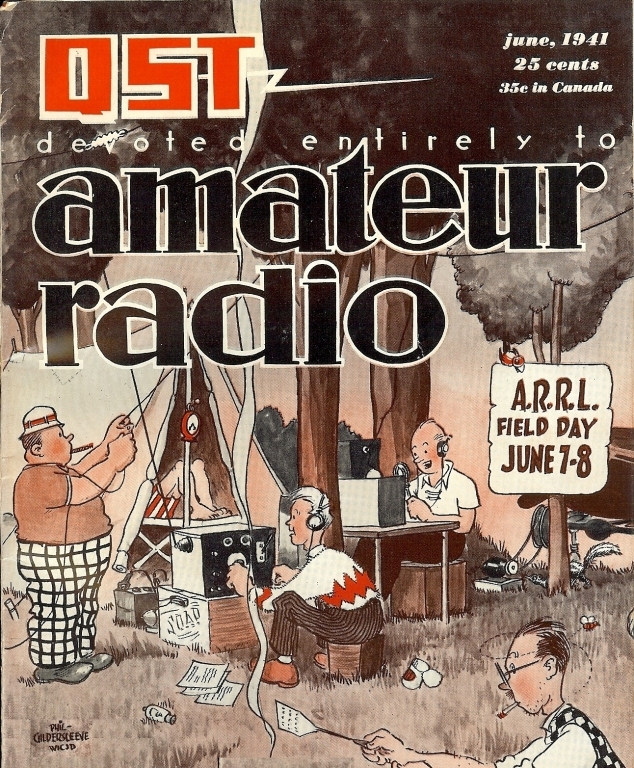 Study the ARRL publications to learn more. AMSAT offers a free trial version of their full featured tracking program so you can test drive it before you buy it. 19. Become an Elmer to a neighbor, friend or relative. 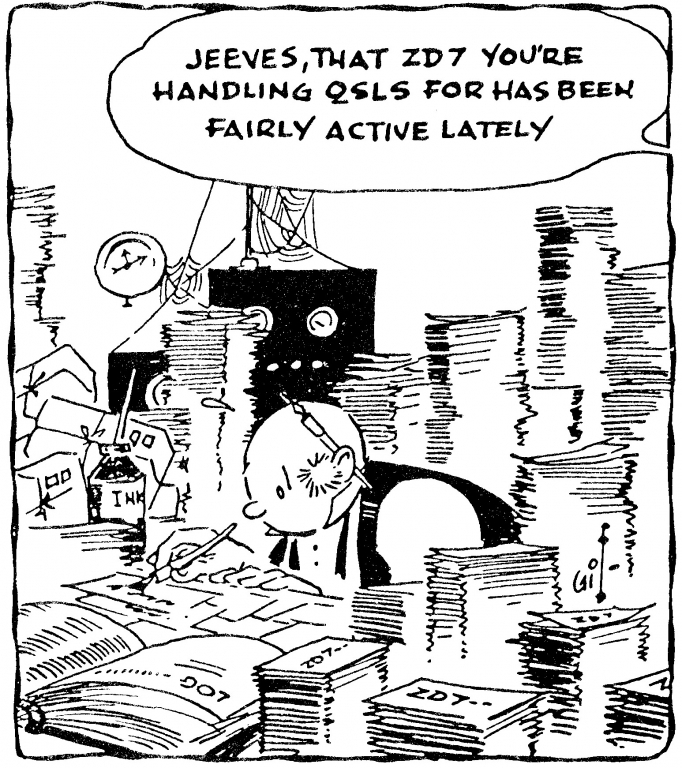 If you had an Elmer, maybe it’s time to give back to ham radio what it has given to you. I had two Elmers and each one inspired me to try building, operating different modes or become involved in different ham activities. You guys in the South Bend, Indiana area know them — Big Smitty, W9EPT, and Wayne, K9IXU, both SK. 20. 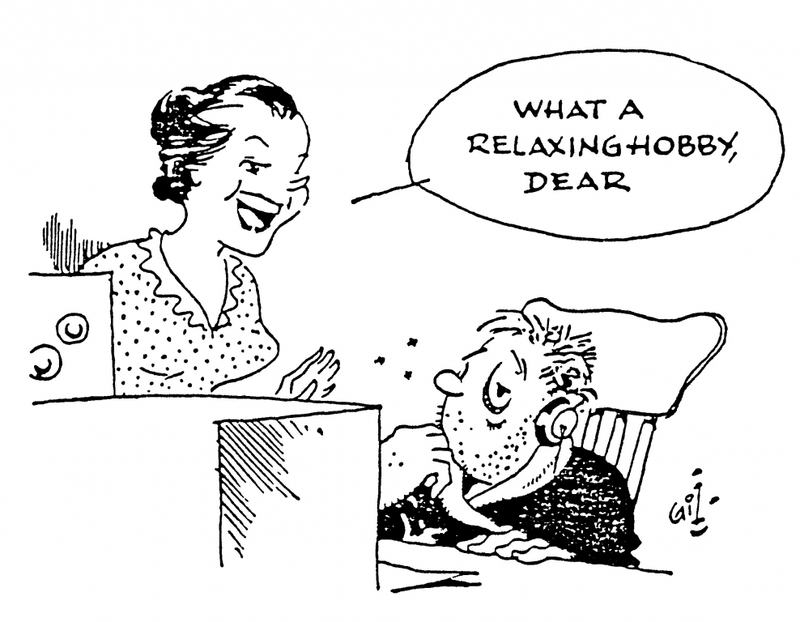 Demonstrate ham radio at a nursing home. They may not understand all of it but they enjoy seeing people from “outside.” You may actually help a resident get his or her license and provide a link to the outside world (even if it’s just via a handheld transceiver and the IRLP). 21. Provide communications during a marathon, parade, bike race, foot race, etc. This is a good chance to see an event up close, provide a useful service to your community and promote ham radio. The compliments and thanks you will get from the event organizers will be worth it. 22. Go to the Dayton Hamvention. If you have never been to Dayton you owe it to yourself to see it at least once. Dayton has been held for a long, long time. I’ve been going nearly every year since 1974 and still have not seen everything. If Dayton is too far away, attend the biggest one in your area. 23. Organize your QSLs into a photo album and your logs in a three-ring binder in chronological order. Display them proudly and review them when you feel like reminiscing or just to see who and where you’ve worked. I look back on mine and realize what fun I’ve had working locals, rare DX and some famous stations like W1AW. I also kept a citation I got from the FCC for operating out of band with a homebrew VFO. I was shaking at the time (age 15) because I didn’t think they would hear a 40 W CW station in Indiana and I was afraid they might take away my license. It was scary but it made me a better homebrewer. I’ve also kept all the mail (that’s before e-mail) I got from contacting authors of articles. Keep it all but get it organized. Make photocopies of paper that is too brittle to put into a binder. 24. Teach or help teach a ham license class. You probably attended one to get your license so return the favor to upcoming hams. 25. Operate from W1AW. They have quite a station and antenna farm from what I see in QST. It’s free but remember to bring your license. There you have it — a list to get you started. Use it as-is or modify it to suit your needs, desires and capabilities. But remember, “time’s a wasting” so get out there and start working on your Bucket List! Jim Kocsis, WA9PYH, an ARRL member, is a test engineer at Honeywell Aerospace. He has homebrewed small projects his entire ham career, including a weather satellite downconverter and parabolic dish for 1691 MHz, and a 2400 MHz downconverter, helix fed parabolic dish for satellite work, circularly polarized Yagi antennas for 2 meters and 436 MHz satellite work. He was first licensed in 1964 as WN9LDB, passed his General in 1965 and his Extra in 1986. He is a member of AMSAT and is active on the satellites when not homebrewing something. Jim’s other interests are casual DXing, CW on HF, low power CW, especially during Field Day, noncompetitive bicycling, cooking and reading travel essays. He is anxiously awaiting the high orbit satellite launch to replace AO-40. Jim received a degree in physics from Indiana University in 1976. He can be reached at 53180 Flicker Ln, South Bend, IN 46637-5108. 1D. Pennes, WA3LKN, “Bicycle Mobile Ham Radio,” QST, May 2009, pp 69-70. 2J. 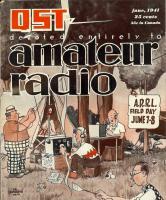 Kocsis, WA9PYH, “School’s In!,” 73 Amateur Radio Today, Sep 2000, pp 24-27.